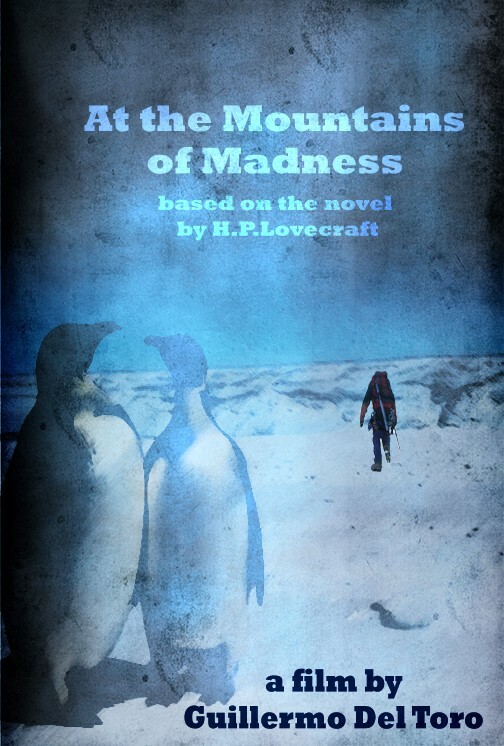 A new design challenge and the prize up for grabs is the graphic novel adaptation of H P Lovecraft's At The Mountains of Madness illustrated by Ian Culbard (the cover wrap is the image above). Guillermo Del Toro is currently getting the film version sorted out. James Cameron is producing, Del Toro will direct. Imagine you are the designer assigned to put together a poster for the film. Not much information was included in the design brief. You can choose the cast and whatever designs for the creatures you wish. 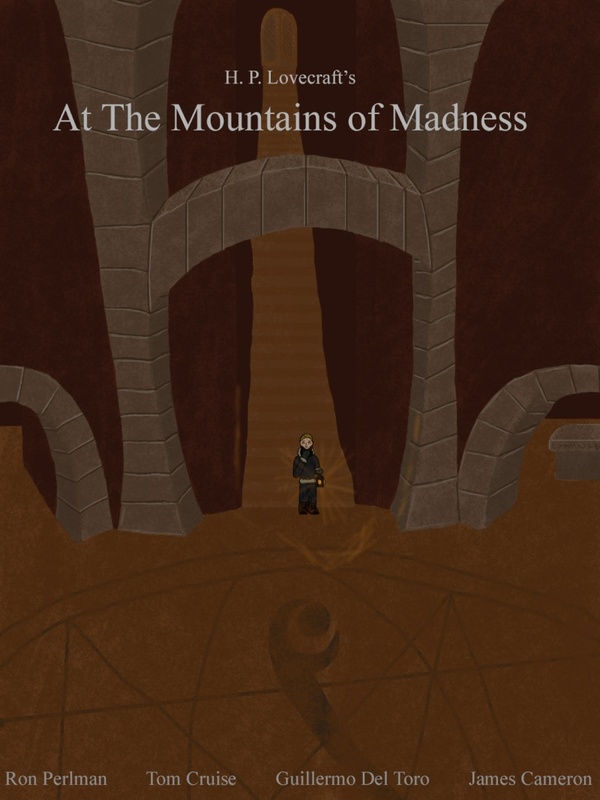 The winner will get the graphic novel of At the Mountains of Madness. The competition is open to anyone, wherever you are in the World. What does everyone else think about the first two posters? "Not good enough to enter but thought u'd like to know ur comp inspired me to finally get Brushes!" I just thought it should be shared here as well. 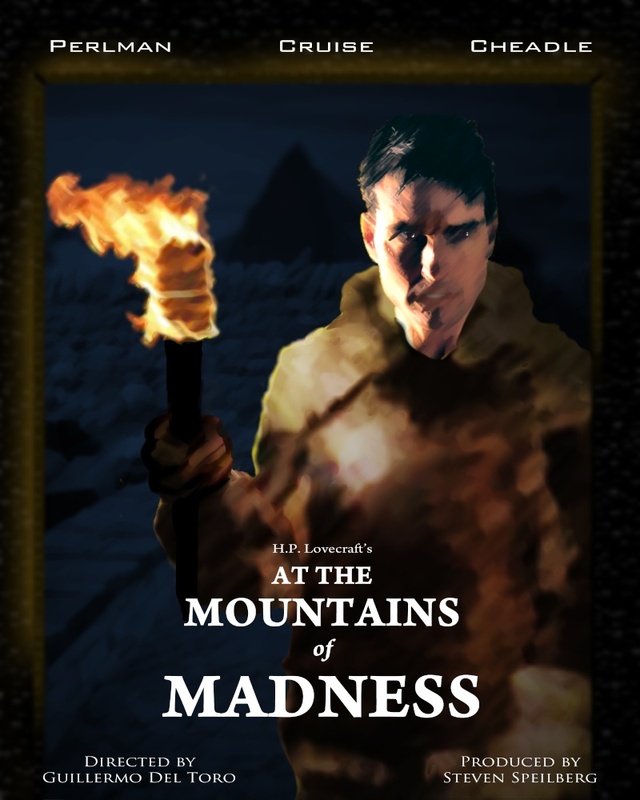 Here's my entry to the poster contest. It's a bit different from the other ones, but I think it works just the same. Some great posters. If you have done more than one though let me know which one you want to enter into the competition. Late! For a very important date! So, it's merely 11:30pm on Jan. 31st here in Tucson! I realized that I didn't even check the true posting time until it was too late. But I was still motivated to finish, and that was great. Thanks for the contest and the inspiration! Glad to still post it. No worries Johnny. Glad you did a poster and as I have just got onto the Forum to check the entries I will get it included in the final vote. 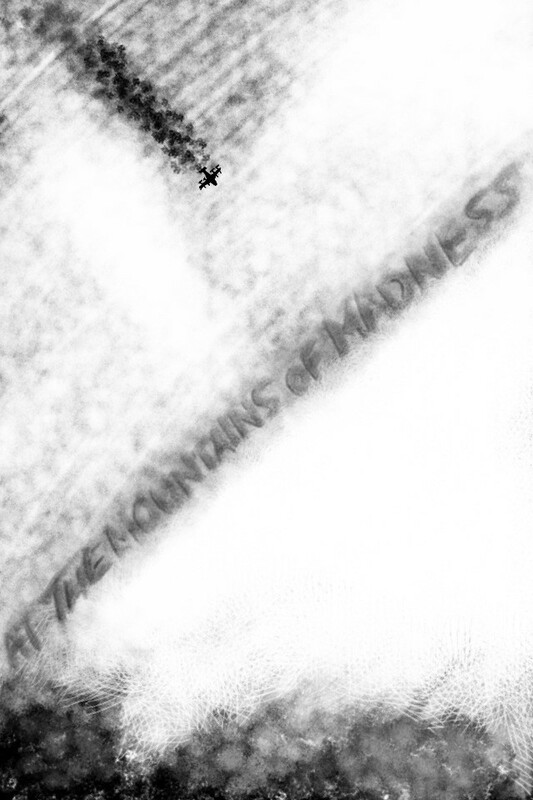 The new design challenge will also be going up today but the At The Mountains of Madness challenge is now closed. Voting will begin later today. 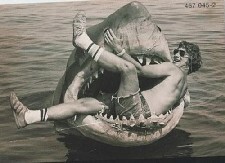 The next one involves remakes of Arnold Schwarzenegger films. Congratulations to Tabby Stardust for winning the competition and to everyone else for taking part.